This automated Quotation System for your business will improve productivity greatly by saving a lot of time, energy, and manpower. 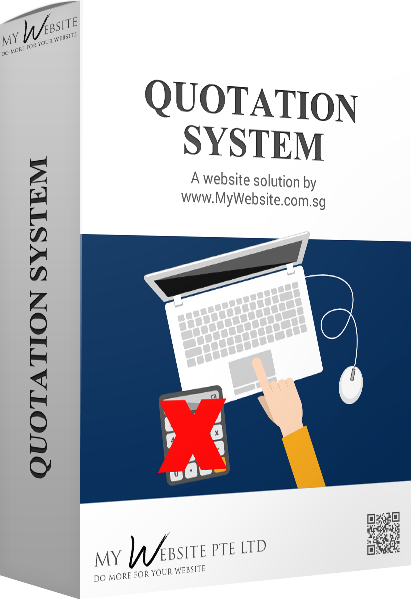 Next time your prospects &/or customers were to ask you for a quotation, instead of doing it manually, and doing the same thing each time, you can direct them to your quotation page whereby they can choose the services &/or products they are interested in buying from you. They can customise your offerings to them (DIY) according to their budget. You save them, manual work, repetitive work, and yet at the same time, looks ultra professional! In addition, if your prospects &/or customers know the cost for them instantly, they can make the purchase decision instantly as well! Good for you, good for them! No wastage of time, energy, nor sales efforts! ii. Total cost shown instantly. iii. Seamless flow- the programming remains on the same page. iv. Organised flow- You can categorise the costing into sections to reduce confusion. v. Highlighted price- Prices of selected items gets a green colour to indicate "GO"
vi. Guide on choosing- You can include a brief guide on certain complex items. Check out the video to see how you can increase productivity, and reduce manual and repetitive work!